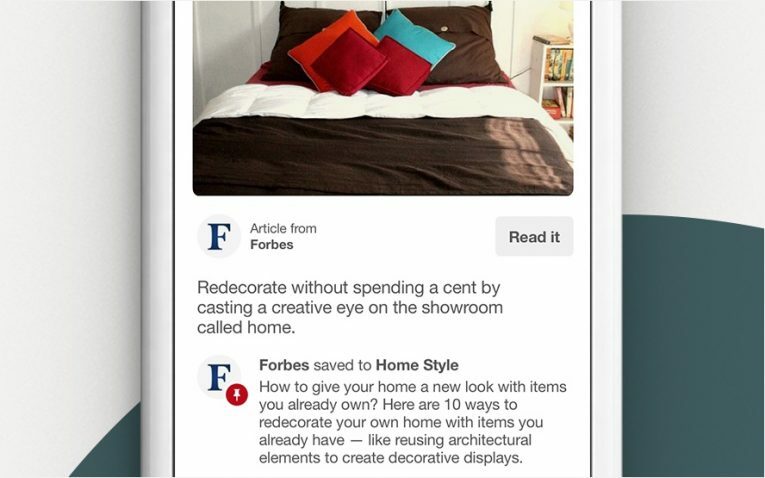 Pinterest helps people discover the things they want to plan, buy and do. First you need to create a Pinterest business account, which is a pretty straightforward thing to do. You can convert your personal account to a business account if you wish. 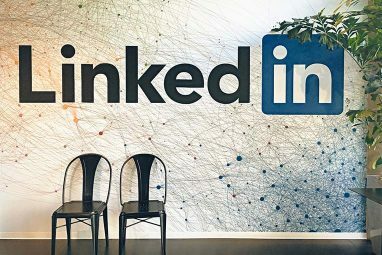 Pinterest connects people through shared interests—their passions, hobbies, tastes and values. You can inspire them by using Pinterest in a personal, authentic way. Your own genuine interests will always be authentic. Pinterest helps people discover things in a simple, visual way. 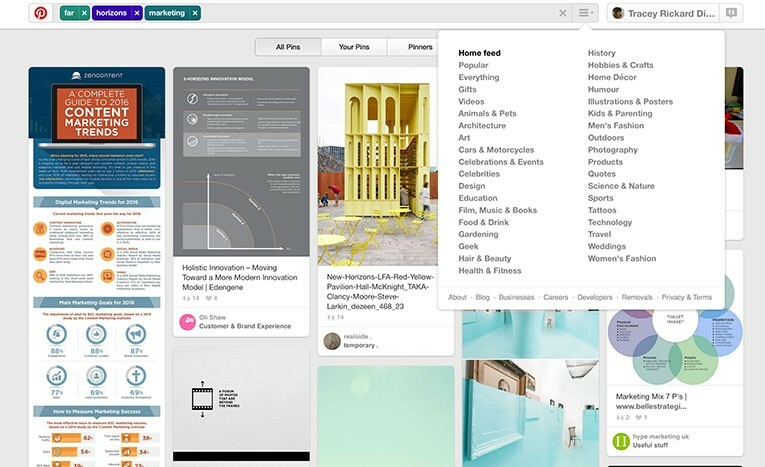 Pinners might find something they love while browsing your boards, scrolling through a category you’re listed in or searching for you directly. 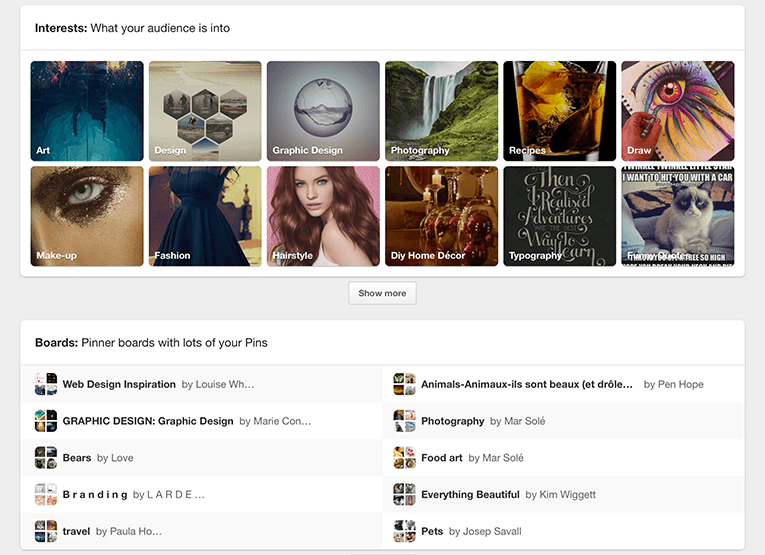 A Pin is an image or video that people add to Pinterest. 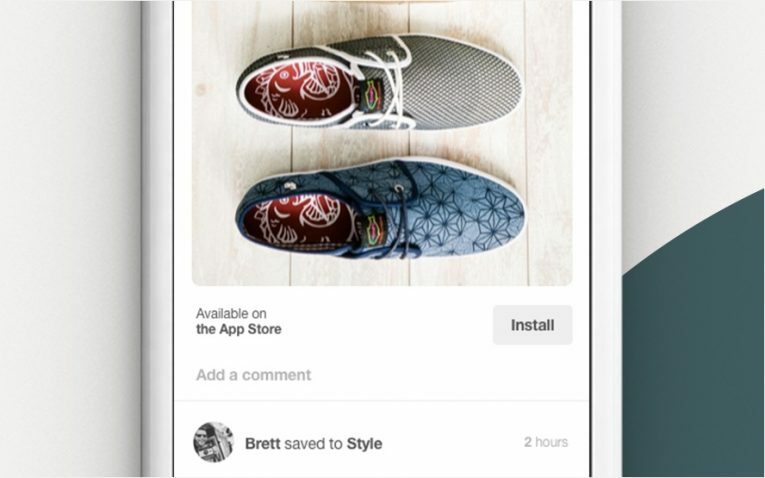 People add Pins directly from websites or apps using the Pinterest Save button. Any Pin can be repinned and all Pins link back to their original sources, which is how you can get lots referral traffic for your website. Pins can be almost anything: a gift, recipe, or even a quote. They’re like little bookmarks people add to Pinterest that always point back to the sites they came from (like yours!) 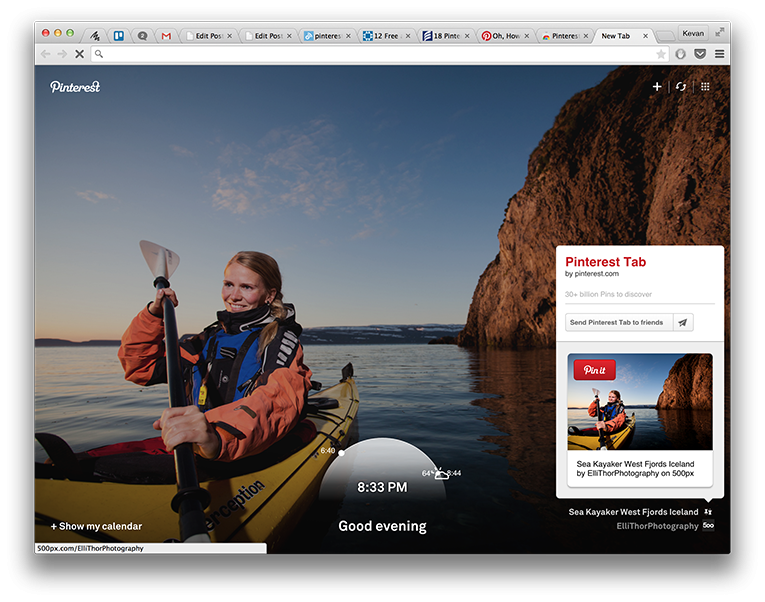 If you add the Save button to your site, people can use it to add your stuff to Pinterest. Boards are where people collect and organise their Pins. Each board tells a unique, hand-crafted story about what that person cares about. People can follow boards whose Pins they like—like yours! 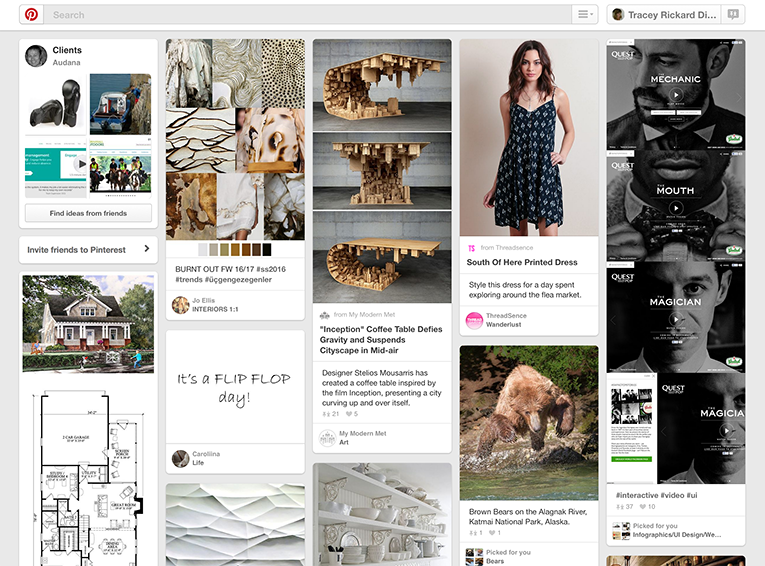 People organize Pins into collections/boards and share their boards with others. The same Pin might be added to lots of different boards across lots of interests, making boards a great place to discover new stuff. 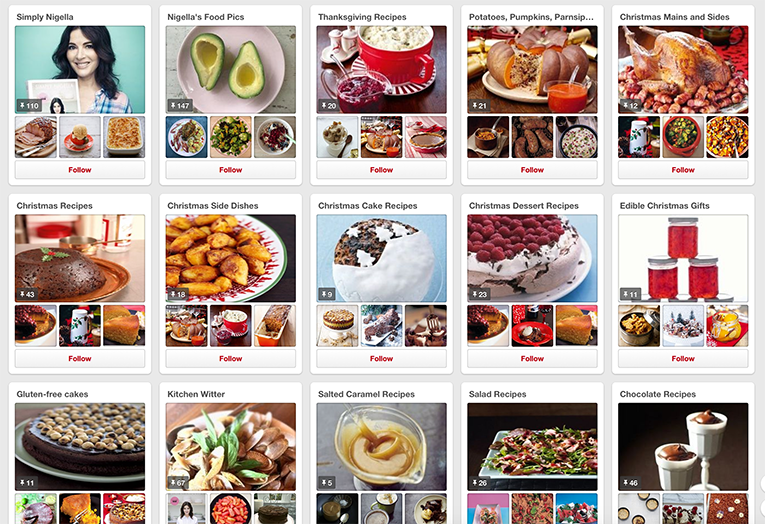 People can follow all of someone’s Pinterest boards or just the ones they like best. As they discover and follow more Pinners and boards, their home feed becomes more relevant and personal to their interests. Pick a profile image that will help people recognise you (logos work great). Profile images look their best at 160 x 165 pixels. You should also write a profile description to introduce your brand and what inspires you. Create a range of boards that showcase your brand’s personality and taste, and make sure each board has enough Pins to make it feel substantial. Remember that people can choose which boards they want to follow, so not every board has to appeal to everyone.. Instead of just showing off your products, show what inspires them. Create boards for the ideas, places, people and moods behind your brand. Create a few boards to start your collection. The very best boards are inspiring, with beautiful images that draw people in. They’re also about a specific topic, like travel or recipes. 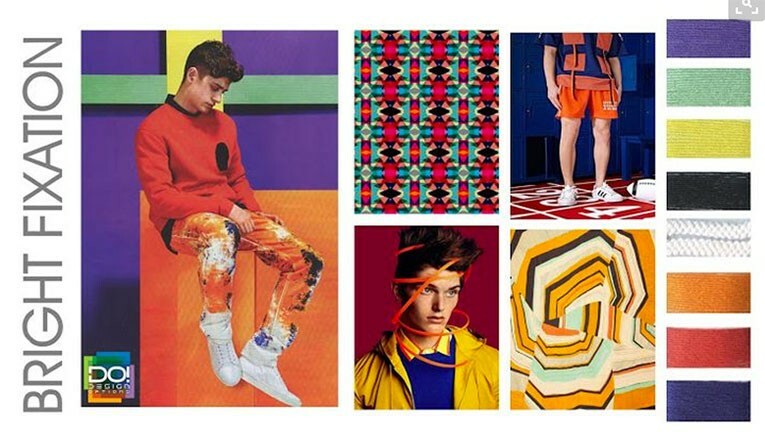 Pattern Curator curated a beautiful board with Pins for every color of the rainbow. Give your boards clear names so people can tell what’s on them, but don’t be afraid to get creative–just keep it to 20 characters or less so it doesn’t get cut off. And don’t forget the description, which can inspire people to follow your boards and help you show up in searches. You can edit this later by selecting the edit button below any board. For each board, choose a compelling cover Pin that quickly gives people a sense for what’s on that board (often the one with the most repins works well). You can change the cover by selecting edit under your board. Try putting your most relevant boards at the top. 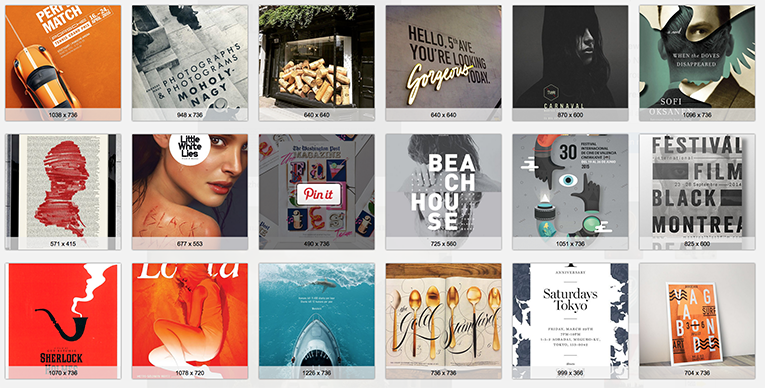 For example, these might be seasonal boards or boards with the most repins. You can drag and drop your boards into any order you want. Keep the board secret until you are happy with it and then release it to the public. Try Pinning a handful of Pins at once that together tell a story and capture the imagination. For example, a Pin of a patterned dress next to the place that inspired it is more compelling than just a product photo. Use your boards to show your values, personality and taste. It’s okay to get creative and be yourself. In fact, Pinterest recommend it! 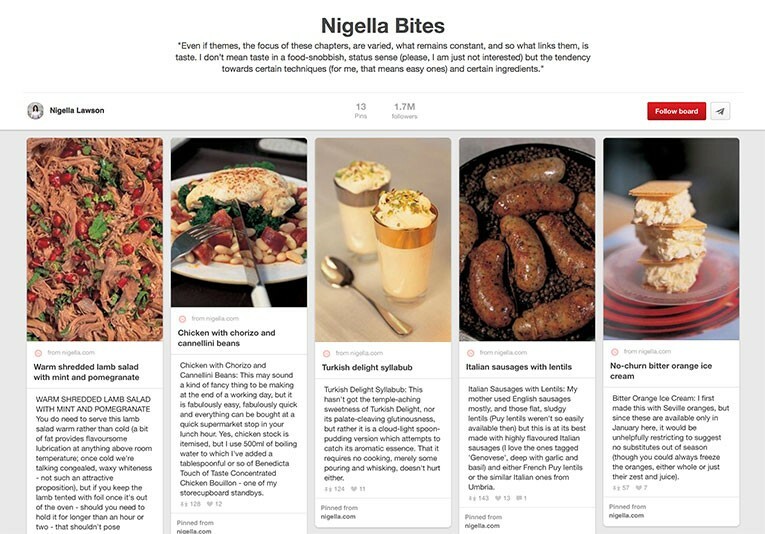 Nigella’s boards are so well described and her personality comes through making you feel like you’re right there, cooking with her. Before you get started, consider what Pinners really care about. 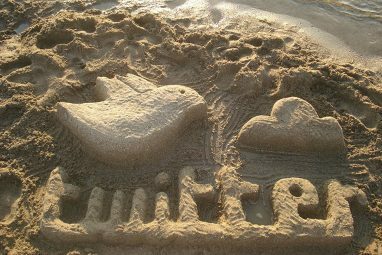 Check out your web analytics to see what they like best, or talk to them directly. Tailor your Pins for them. Whole Foods has boards for gardening, DIY products and volunteer work for their sustainability-conscious followers. Pin at least once per day so that your followers see you regularly and get updated content in their home feeds. Don’t just Pin your own stuff from your own website. You can tell a richer story by adding Pins from others. You could partner with bloggers and lifestyle websites to Pin their content. Pin from other relevant sites. 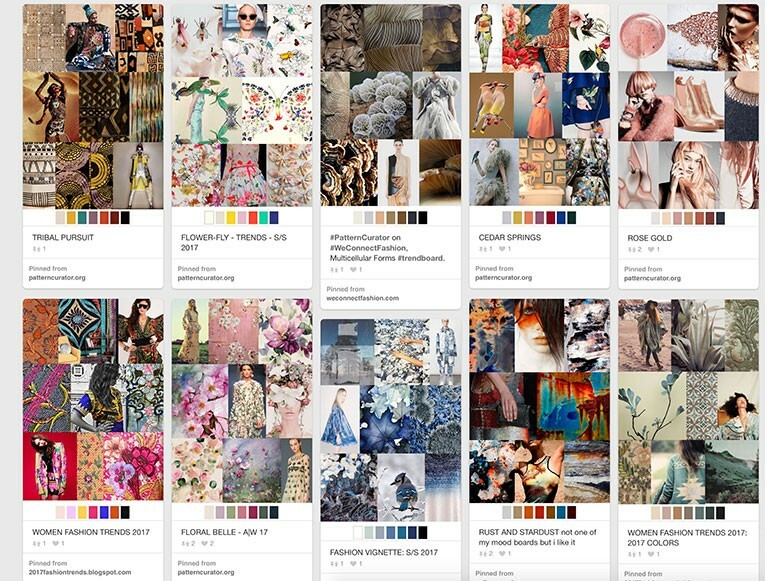 Search Pinterest to find stuff to Pin. Make sure your Pins link back to somewhere helpful, so that Pinners can have a better experience and so that you can get more referral traffic to the right places. Link to places that help people … or you! For example, a movie Pin should lead to the trailer or a review, and a product Pin should lead to where a Pinner can make the purchase. 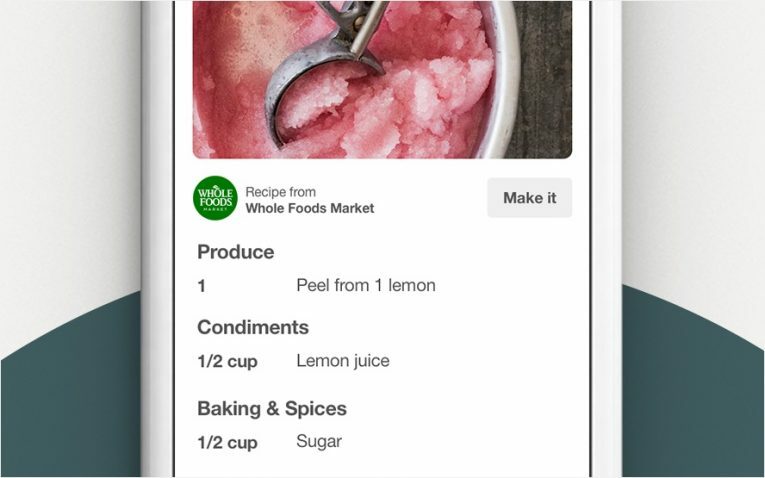 Curated lists are totally save-worthy because they cut out some of the work in searching for the perfect recipes, products and more. Lists are a good way to create Pins that appeal to different audiences—see which ones take off and make more like them. Step-by-step instructions and other tutorials help break down complicated projects and make it easier for people to bring their creative ideas to life. Don’t include promotional material – it’s not the forum for 10% off or 2 for one. Don’t use hashtags. Pins last forever, so steer clear of including prices or words like “new” that won’t always be relevant. Check out your competition, suppliers, customers and friends and see how they are doing it. Use high-quality images. Make sure they’re well-composed and in focus. 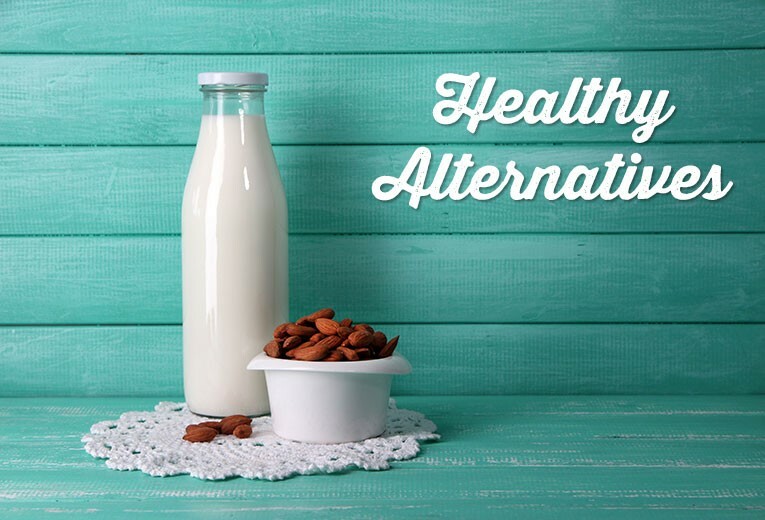 Use high-resolution, professional-quality photographs and illustrations. Don’t use images that are poorly lit, out of focus or otherwise appear amateurish. Go for taller Pins. Vertically oriented Pins look better on mobile screens. Pins look best when they’re vertically oriented. Pinterest recommend an image aspect ratio of 2:3 to 1:3.5 and a minimum width of 600px. Pins get cut off in feeds if the ratio is greater than 1:3.5 so make sure the image isn’t too tall. For example, an image that is 600px wide should be between 900px and 2100px tall. Most people use Pinterest on phones! Write thoughtful, timeless copy. Pins last forever, so avoid descriptions that focus on timely promotional information. The first 100 characters of description appears in grid view, the rest when people click to view the Pin. 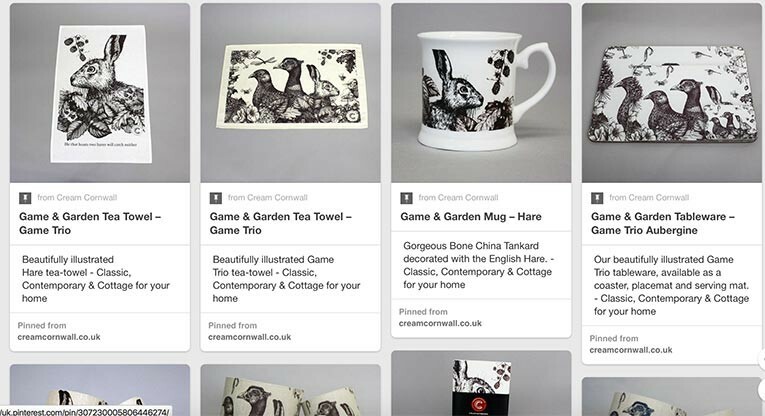 A great way to get people to repin your stuff is to be an active Pinner yourself. 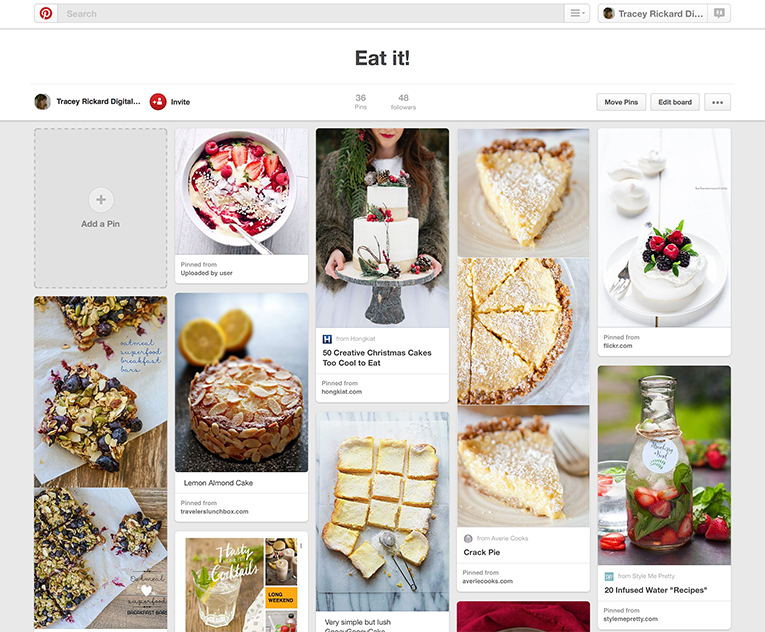 Follow other people’s boards and repin, Like and Comment on Pins that inspire and relate to your business. Once you’ve started to grow your community, you can promote your Pinterest account and even showcase your Pins on your own site or on your Facebook page. Woobox do some great apps for sharing other content on Facebook. The description is an important part of captivating Pinners. Set a scene that incorporates the right search words, and you’ll help Pinners imagine themselves with your Pin. Tory Burch carefully crafts Pin descriptions to make them aspirational and to provide a resource to Pinners – including helpful style tips. What makes a good Pin description? Design: Mention the designer, medium, publication, etc. Your website may already be full of stuff that can be Pinned – but make sure you have enough images and that they’re high resolution. 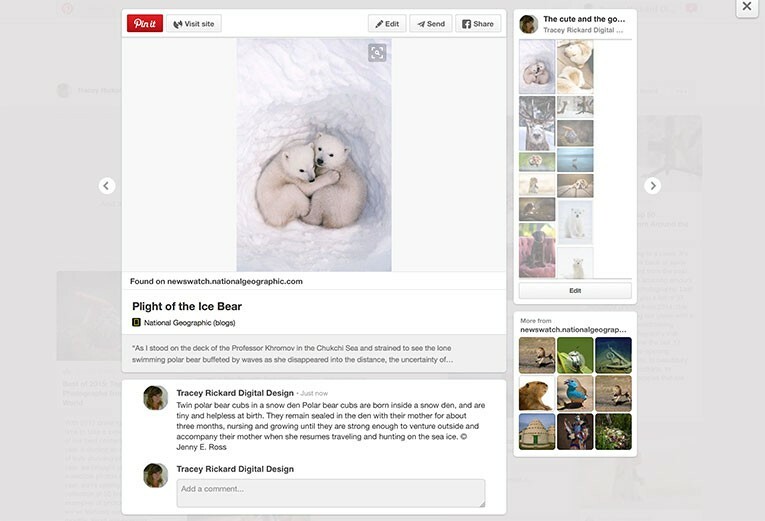 Images that are at least 600 pixels wide will look best on Pinterest. 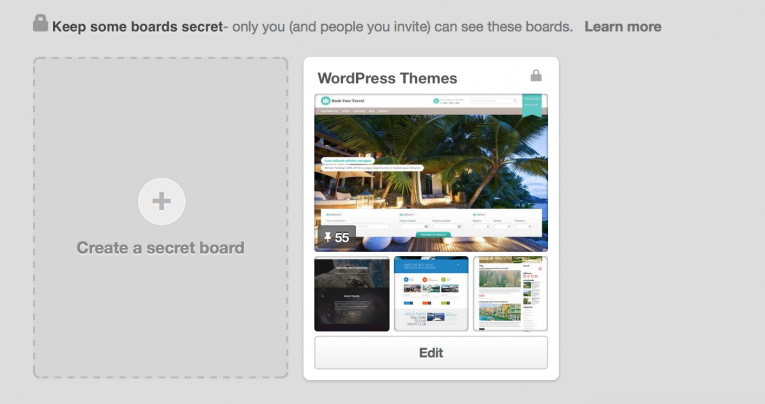 A Save button makes it easy for people to Pin to their boards from your website. 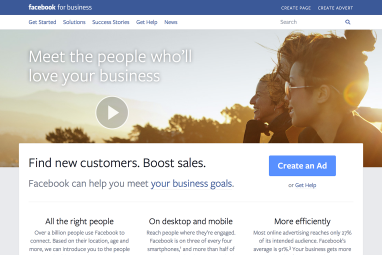 Add a Save button to your site alone or as part of a set of sharing buttons. Also remember to include a Pinterest link in your emails. 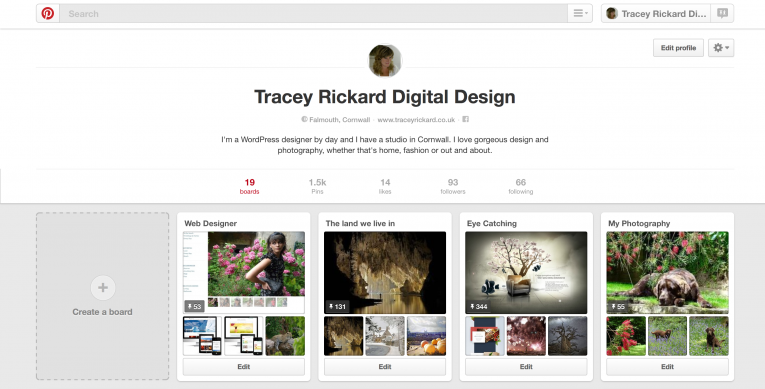 If you use WordPress there are plenty of plugins to help you add your own Pinterest buttons. This can be a bit technical, so you might need to loop in your website’s developer. Each type of PIN needs a slightly different piece of code to make sure it is displayed properly. 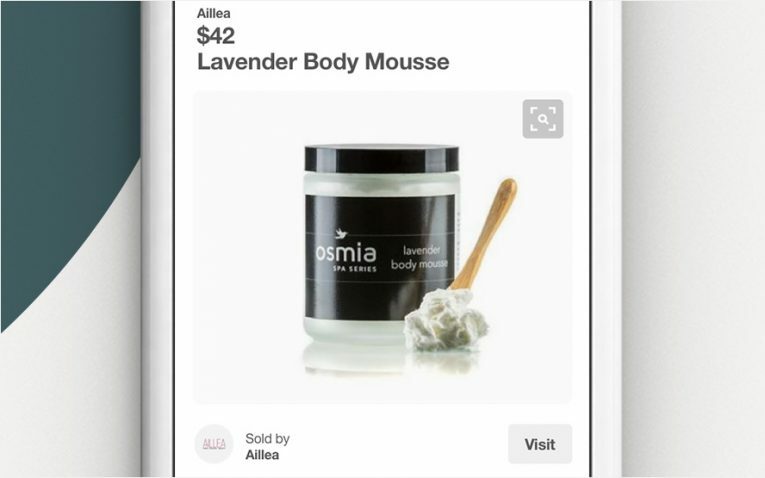 Product Pins include real-time pricing, availability and where to buy. 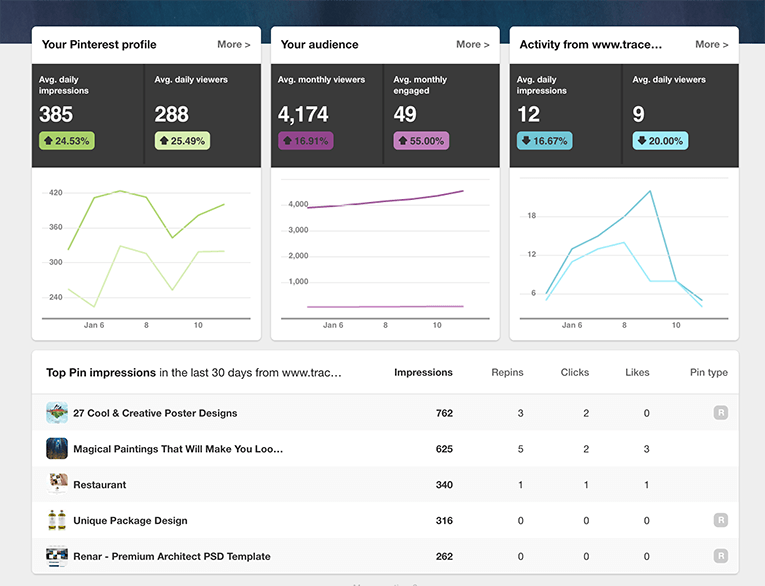 Once you have verified your website you can take advantage of Pinterest Analytics. Pinterest profile analytics gives you a look at how the Pins from your profile are doing. 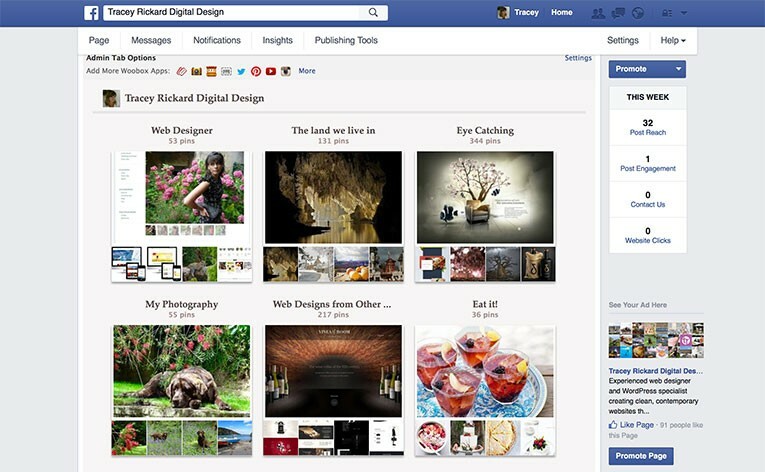 This includes all Pins you Pinned to your profile and things you Pinned from your website or from others. Pinterest Analytics shows you which Pins are most popular with Pinners and which ones are driving the most traffic to your site. You can also see what boards your stuff appears on, how the Pins are described and what people Pin along with your stuff. All of these insights will help you make smarter choices about your merchandising, product development and marketing strategy. I personally get lots of pleasure from Pinterest, I love beautiful photographs and graphics and so do millions of other people. You might think your business is not about images but everyone has an angle they can take and you will always catch someone’s eye. There is so much to gain by using Pinterest for Business, all you have to do is get started and Pinterest have plenty of videos and online help resources » to guide you.